Currently under Construction. Contact Lisa for additional information. Model open Mon-Sat 10-5p.m. and Sun 12-5p.m. "The Windsong" will impress! 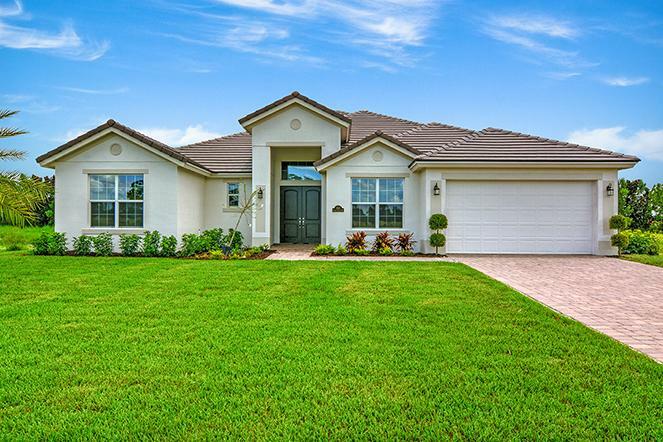 Located at Lake Sapphire on a quiet cul-de-sac street, you will find this exceptional home that offers a 3 car garage and presents an open design with great spaces for entertaining. The gourmet kitchen presents large center island, natural gas 36" cook-top, double oven/convection-microwave, steam dishwasher, quartz countertops, full tile glass backspash and pantry closet. The double 3/4 lite entry door allows lots of natural light to shine into the sizable foyer. Additional features include volume ceilings, tank-less natural gas water heater, impact glass on all windows, sliders & glass doors, security, spray foam insulation, solid core interior doors, and professionally designed landscape package. An added bonus - this home offers private pool, travertine pavers and screen enclosure. This home is currently under construction and will be completed early summer. Call for details.